A foot-tapping collection of Celtic, fiddle, and hymn music. The Verniers is a lovely collection of Celtic, fiddle, and hymn music. 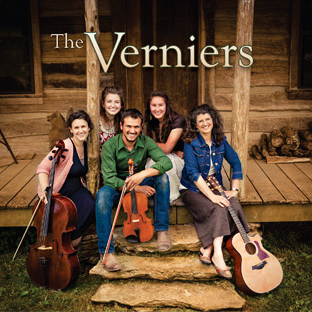 The Vernier Family Band consists of Ellen and Natasha Vernier on violin/fiddle, Audri Vernier Botkin on cello, Charles Vernier on viola and Gari Vernier on piano and guitar. Enjoy the rich harmonies of a family band!